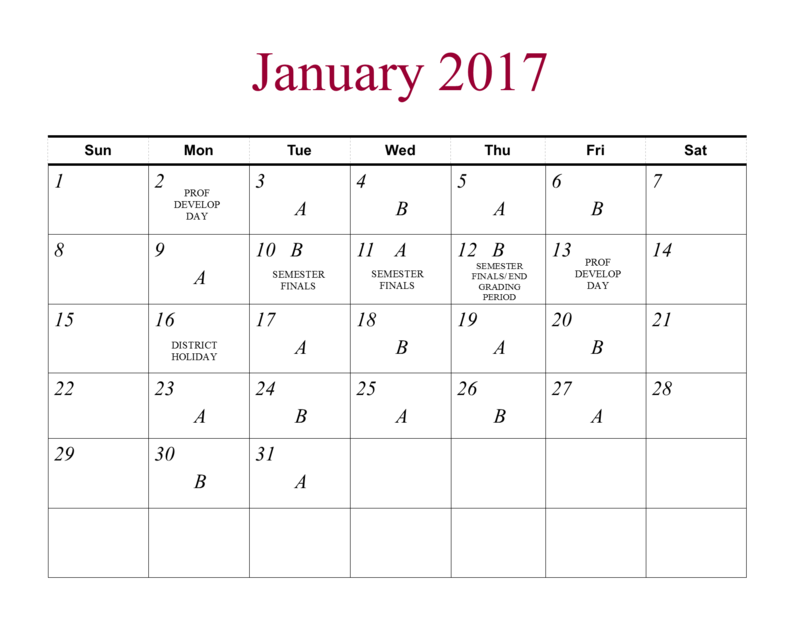 January 2017 ends the semester with only about five regular school days before Fall Finals. Jan. 3-6 and Jan. 9 will be standard schedule days. Jan. 10-12 will be adjusted, Final exam days. See the schedule below for details. Friday, Jan. 13, 2017 is a student holiday and teacher professional development day. Jan. 16 is a district holiday before the second semester of the 2016-17 school year begins on Jan. 17, 2017.